In Bottles > Flasks > Show & Tell and Glassware > American Brilliant Cut Glass > Show & Tell. 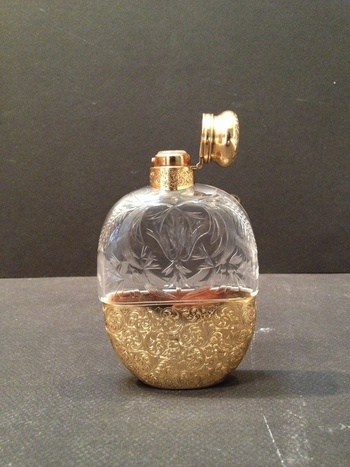 This is a flask from the Gorham corporation. It is gal marked with their Gorham gold mark and also marked 14K. The glass was provided by the J. Hoare cut glass co. Thanks for posting this wonderful piece! !